It'll be "so long" Chili's Too, and "hello" craft beers at the Minneapolis-St. Paul International Airport. The Metropolitan Airports Commission approved a set of new concession bids Monday, as a once-a-decade-or-so refresh of retail and restaurant offerings in Terminal 1 moves forward. There are about 130 different locations in the airport, and 50 of them were put out for proposals this year. Newsstands, convenience shops and other retailers made up the bulk of the proposals, including Flirt Boutique lingerie shop and a bookstore developed with the Loft Literary Center. Both businesses were accepted. The MAC received 20 food and restaurant bids, some from new entrants who fought to gain access to the airport's hungry customers, many with time on their hands. More than 35 million travelers passed through the airport last year. The new Stone Arch restaurant will take over the space currently occupied by Chili's Too. It's a partnership including the Minnesota Craft Brewers Guild and will take one of the three largest restaurant locations at the airport. Guild president Dan Schwarz says exposure at the airport will help the state's beer industry as "travelers from all over the state and all over the world, all over the United States come and sample what we're doing here in Minnesota." The biggest battle for business this year pitted a partnership led by Buffalo Wild Wings, Leeann Chin and Dunkin' Donuts against another group that included a Minnesota Twins Grill — pitched by owners of the baseball team — Angel Food Bakery and Smack Shack, a popular North Loop seafood restaurant. Despite a staff recommendation that would have put a Buffalo Wild Wings in C Concourse, the MAC opted to give the spot currently occupied by TGI Fridays to the Twins, in partnership with their concessionaire, Delaware North. Cynthia Gerdes, a founder of Minneapolis' Hell's Kitchen, will be one of the new restaurant's operators. 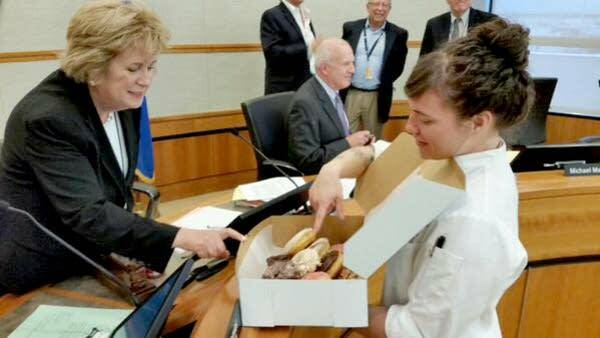 Her daughter, Katy, won a spot for her Angel Food Bakery donuts. 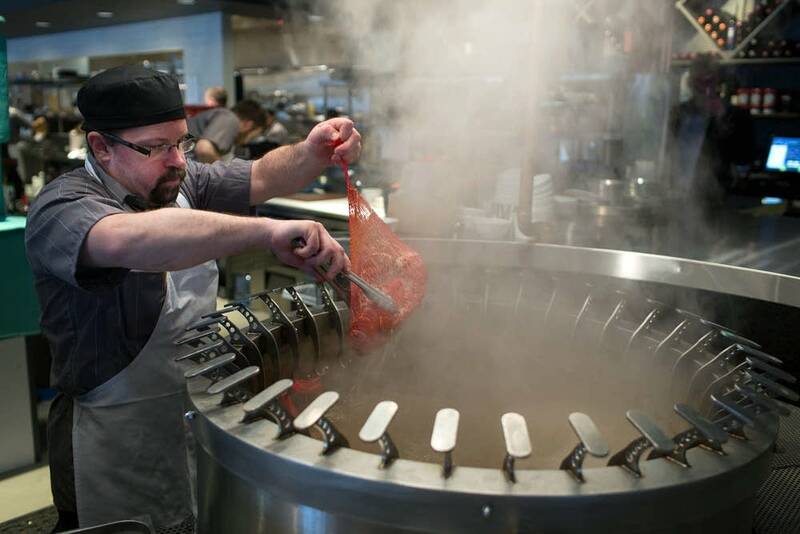 The emphasis on local was intentional, said Twins President Dave St. Peter, "one that's really focused day-in and day-out on delivering high quality food, including some of the signature brands that are at Target Field that are all about Minnesota." Bids for a new music venue at the airport were hard fought, as well. Republic, a Minneapolis restaurant and craft beer bar, with McNally Smith College of Music won a spot at MSP. Uptown's Barbette and the Cedar Cultural Center made a case, but ultimately lost out to the Republic partnership. The airport locations were divided into 14 different packages, and the parties had to partner with a variety of other businesses and concession operators to put the bids together. The transition will start in October and take about 18 months to complete. The rest of the airport's food and concessions locations will be back up for bid in 2017.